After last year’s unpleasantness, Shahar Peer could be forgiven for being on something of a mission. She beat Yanina Wickmayer, 36 62 75. You’re all aware of my love for Wicky by now, I’m sure, but she’s made a storming start to the year. As has Shahar, actually. Both of them had somewhat fraught 2009s and I’m really interested to see how they’re going to go in 2010. Disappointing losses for seeds were on tap though, with Nadia Petrova falling in two tiebreak sets to Stefanie Voegele (which, no offence to Stefanie, should not be happening) and the French Italian (right?) Tathiana Garbin taking out the never-consistent Samantha Stosur in a third set tiebreak. And remember last year’s surprise finalist, Virginie Razzano? She actually won a match, which, given her form since about June last year, is not to be sneezed at. 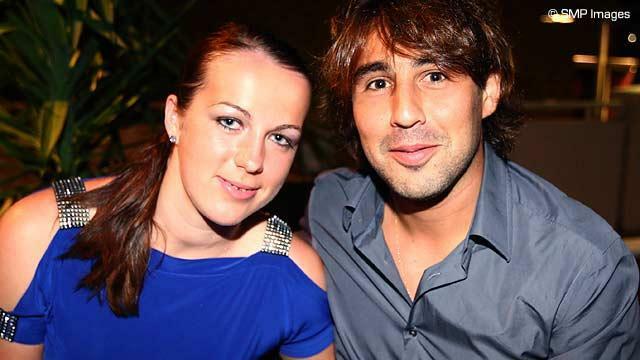 And a few of the top seeds made it through, including tenth seed Flavia Pennetta, who laid waste to Melinda Czink 64 61, seventh seed Agnieszka Radwanska over Anastasija Sevastova, and twelfth seed Vera Zvonareva, inexplicably playing the day after she captured her title in Pattaya City. Nice scheduling. She survived a tough challenge from Elena Vesnina (another inconsistent girl who had a big result in Dubai last year, taking out Svetlana Kuznetsova), 64 46 75. 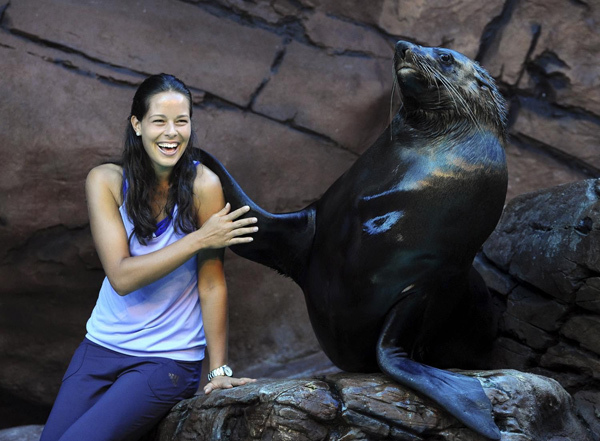 … Ana Ivanovic with a – what is that, a sea lion? … and Maria Sharapova hanging out with some monks in Thailand. I don’t even know any more. 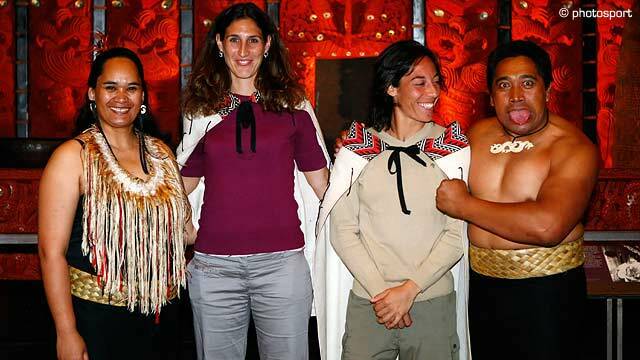 And that completes your lightning round-up of recent WTA promotional activities. Kind of hard to imagine any of these four (apart from Wozniacki) making a real run at Wimbledon. But hey, splendour in the grass is not to be sneezed at. Caroline Wozniacki beat Virginie Razzano 76(5) 75 in a really tight straight sets final. It was interesting as Virginie was definitely the better player for large stretches of the match and in fact ended with more winners than UFEs, Caroline having the reverse. Still, Wozniacki did what she is getting really good at; hanging in there and winning for her fifth WTA title and the first on grass. 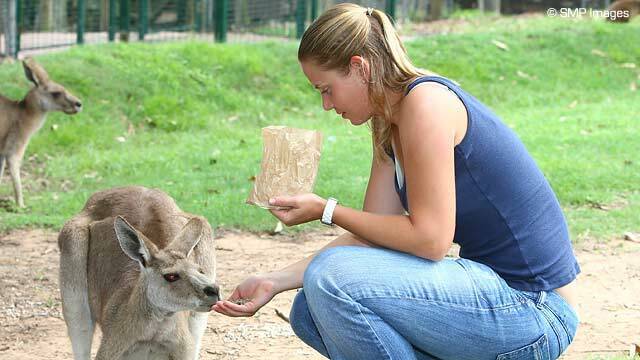 Wonder if she can emulate last year’s winner Radwanska and make it to the quarter-finals at Wimbledon? On the men’s side, Tursunov topped Frank “Rhythm is a” Dancevic 63 76(5) for his first title of the year. In Den Bosch, Tanasugarn’s bewildering relationship with the Ordina Open continued as she beat Wickmayer 63 75, and German qualifier Benjamin Becker disappointed the home crowd by knocking out the wildcard Sluiter, 75 63 (spooky!) for his first title. Becker has a Dali face, that’s what I learned today. Well done everyone and so forth. Now get your asses to Wimbledon, please. Word has it there’s an opening. Eastbourne: What's French for "Handbags"? Things were a wee bit testy in Eastbourne today. Wozniacki-Wozniak went to three sets, the Dane winning in the end. But both were visibly frustrated with the wind. And honestly, I throw up a little in my mouth whenever I see Caro chase a ball back and then throw up that defensive lob, or moonball ridiculously when she could attack or at least trade blows (it wasn’t THAT windy). And can she *please* not get her dad on all the time? How’s she supposed to go deep in Slams with that kind of thing going on? Can it be a coincidence that a good run at a Slam is what’s really missing from her resume? Although she’s young. Anyway, great win for her. On to her fourth final of the year. Whatever went on in this match though paled into insignificance with the all-Frenchwoman clash of Marion Bartoli and Virginie Razzano. Razzano won a tight first set 6-4 when Bartoli called for the trainer to get her thigh strapped up. She dropped the first game of the second set and abruptly retired. So far, so Marion. But when Razzano came over to shake her hand, Marion wasn’t having a bar of it. Hmmm. 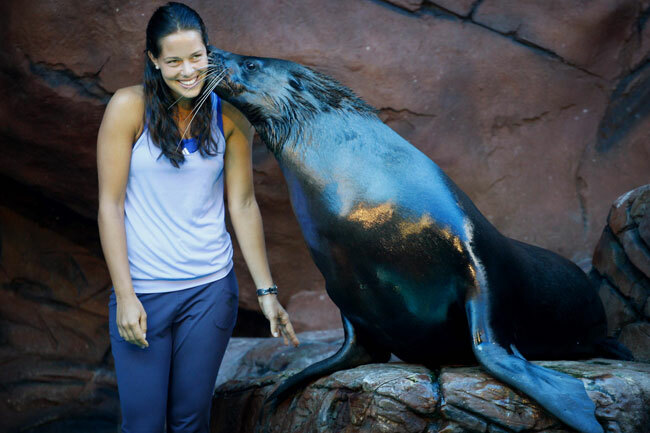 While there’s no denying that Marion takes an awful lot of injury breaks, I tend to feel that her problem is similar to Nole’s – that what’s wrong in the mind, she feels in the body. Some people are just more prone to others than feeling not-rightness as a physical issue rather than a mental one – aren’t they? Anyway, that’s the sense I get from her. Not cynical gamesmanship, but that she’s a bit messed up. But then I’m of the school that gives players the benefit of the doubt. Anyway, so it’ll be Wozniacki-Razzano in the final. It could be tight or very … not. Paul-Henri Mathieu actually took a set off Federer for the first time before losing, 64 16 46 46. I thought he actually played well – it was Federer winning it rather than him losing it. I’m not a great fan, but it was nice to see. It was Virginie Razzano, however, who really kicked off the day in style on Chatrier, defeating Tathiana Garbin in a pulsating encounter 7-5, 7-5. Garbin came down from multiple breaks down in both sets and Razzano really had to dig deep. Match point was a ridiculous rally and Razzano was so delighted when she won, she forgot to shake hands at first. It didn’t matter, though; Garbin gave her a big hug and a kiss on both cheeks. It was lovely to see. This is the first time Razzano’s ever made it this far in Paris. In fact, it’s the first time she’s made it beyond the first round. Well done to her. Then it was the turn of Gael Monfils on Lenglen, who thrilled the crowds in a four-set win over Jurgen Melzer. The quality of tennis was ridiculously high at times, especially in the second and third sets, and the match was played in a great spirit. You have to admit, Bambi gives great action shots – the kind you never see from any other player. Jo-Wilfried Tsonga had a much more straightforward victory, beating the diminutive Belgian Christophe Rochus 62 62 62. It’s really lovely to see so many home players doing well. (We should be so lucky at Wimbledon.) Allez Bleus! I didn’t know they were available on youtube though, until the wonderful C Note tipped me off. My favourites so far are definitely Razzano and Gonzo. And Gonzo for frankly being Gonzo. Oh, and for flashing excessive amounts of thigh at the camera. You tease. Anyway, here’s my half-assed attempt to round up everything I missed on the vaginal side of things. In addition to Serena’s previously-discussed win, two other top-tenners were in action today. Jelena Jankovic in her new blue ANTA outfit (which I’m not sure I like) dismissed Petra Cetkovska with nary a blink other than that caused by a rain delay. Blow, wind, and crack thy cheeks. I definitely like Zheng Jie Jie Zheng’s outfit better, but this is a gorgeous colour on JJ, and let’s face it, the woman is always going to look good on clay. Elena Dementieva went down a break initially to Chanelle “jeepers creepers, where’d you get those peepers?” Scheepers, but steadied the ship to win in straight sets with only a modicum of drama. In what felt like it should have been a upset but actually wasn’t, homegirl and dangerous floater Virginie Razzano took out Daniela Hantuchova. Anabel Medina Garrigues faced a tough challenge from recent two-time finalist Ekaterina Makarova, but took care of business in the end with a third-set bagel, and Svetlana Kuznetsova took out French wildcard Feuerstein. In pink, no less. Oh, and a shout out to Galina Voskoboeva (or Voskybosky, as I like to think of her), who kept me in the suicide pool by knocking out Sania Mirza. The thanks of a grateful nation to you, Vosky.